trail provides new photographic opportunities. 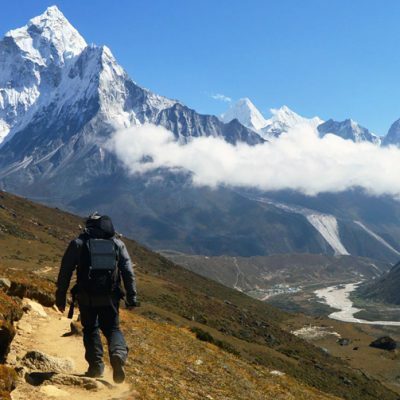 The classic Everest Base Camp Trek-14 days starts and ends in Kathmandu. A pre-trip discussion in Kathmandu is followed by a short trans-Himalayan flight to Lukla – the actual starting point of trek. 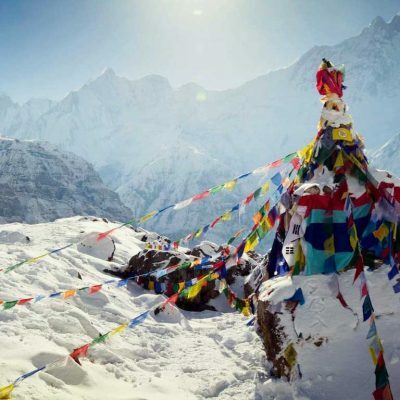 Spend several days walking around Gumbas, billowing prayer flags, magical forest and imposing snowy peaks; and evenings in local tea houses offering warm hospitality and delicious local cuisine. 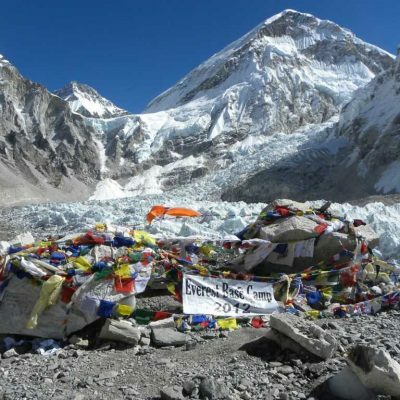 14 days Everest Base Camp Trekking itinerary is designed to minimize AMS risk by limiting daily gain in altitude and scheduling acclimatization period. 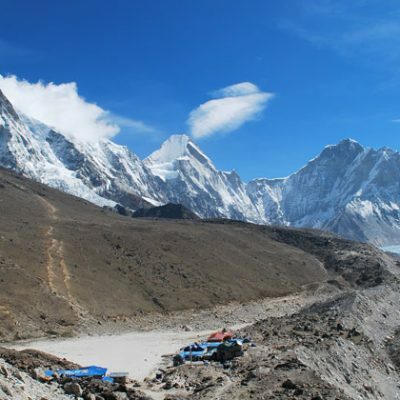 We will acclimatize at Namche Bazaar: explore town and hike to Khumjung for traditional view of Sherpa culture. the lower glacier.The easier four days downhill hike uses an alternative lower route and overnight in different villages. 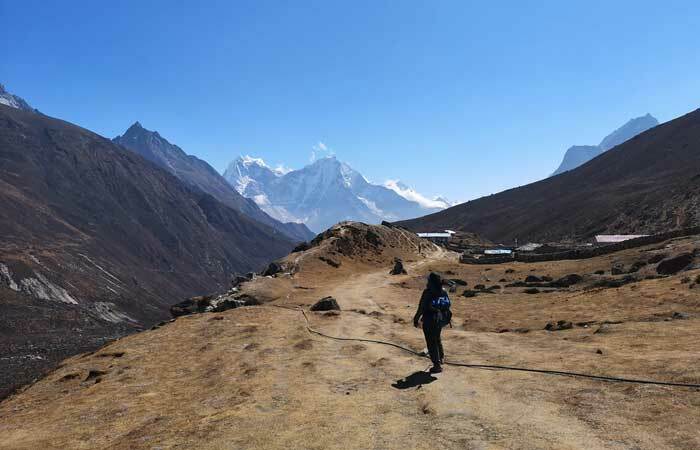 (Mid-September – Mid-December) in autumn and (March – May) in spring are the best time of the year for Everest Base Camp Trek. The weather tends to remain stable with great views but nights are cold and can drop down to freezing in higher elevation. Pack sleeping bag for extra warmth. 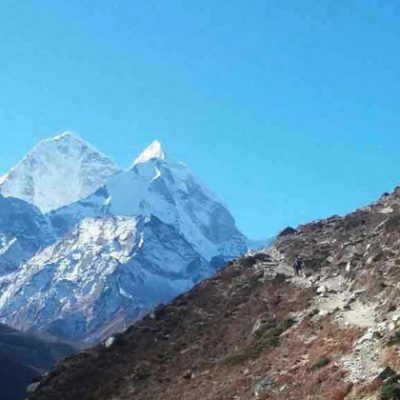 Winter (December – February) is also favorable for EBC trek, the only issue is cold and snow. Get prepared to tackle the challenges: pack all the essential winter stuffs. basically a long walk with numbers of ups and downs. However, there are some factors that make it really difficult. 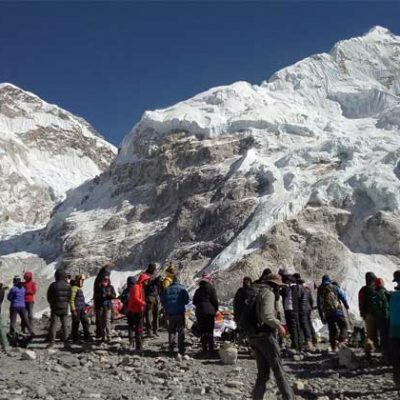 Altitude is the prime thing you need to consider while trekking on EBC trial. Mountain sickness is common on route; so, acclimatize your body properly before making another gain in altitude. Also stay hydrated and walk on gradual pace. challenges for novice. But with proper rest and slow pace, the distance might not bother you. peak season of March – May or September – November. timeless heritage sites of Kathmandu OR simply depart or plan for another trip in Day 13. Free Day-In case flight cancels. it happen a lot even high season.